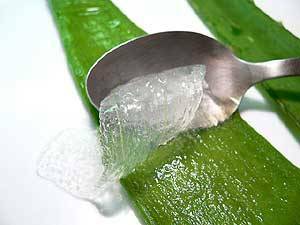 Your mom was onto something when she cut the tip of an aloe vera leaf and squeezed its juice onto your sunburn. Studies have long showed that plant’s ability of healing minor wounds, not to mention its antibacterial, minerals and vitamins content that aids in easing eczema and psoriasis flare-ups. However, some creative and enterprising Singapore beauty experts already started using it as more than just a treatment for an occasional cut or rash. Here, we’ve listed down some of the amazing beauty uses of aloe Vera gel that you may add into your beauty regimen. You’ve been itching to remove the raccoon eyes your washed-out mascara gave you, but the thought of applying harsh chemicals on your face is stopping you from doing it. A good solution? 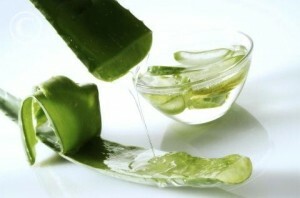 Opt for a homemade or store-brought aloe gel instead of using your chemical-based makeup remover. Simply squeeze out a dollop of aloe Vera gel onto a cotton ball and swipe all the makeup remains off your face. Now that’s a simpler and gentler makeup remover alternative. In-the-know Singapore beauty buffs absolutely swear by pure aloe Vera as a perfect shaving cream. Not only is it anti-bacterial, which is great for healing nicks, it’s also slippery allowing you to get a much closer shave. You need to put aloe vera gel from Singapore on its own, or combine it with other nourishing ingredients to achieve a more luxurious shave. To make a homemade aloe shaving cream, simply mix 1/3 cup of aloe vera gel, 1 tablespoon almond oil, 1 teaspoon vitamin E oil, five drops of eucalyptus oil, 1/4 cup hand soap, and 1/4 cup warm water. Once you’re done mixing all the ingredients, pour it into a clean foaming bottle or soap dispenser, and store into the fridge for up to six months. 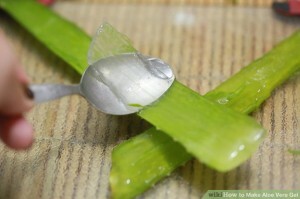 For this beauty use, simply grab an ice cube tray, fill it with pure aloe gel, and freeze it. These frosty fellows will surely be of great help when you experience too much sun exposure, bug bites, a run-in with your stove, poison ivy and even psoriasis. Apart from being an amazing makeup remover, aloe vera can also serve as an excellent facial wash alternative. All you’ve got to do is mix a tablespoon of aloe Vera gel with a teaspoon of almond milk and lemon, then wash your face with it and leave it on for several minutes before washing it off. Since aloe is rich in antibacterial minerals, this facial wash is ideal for people with sensitive skin or those experiencing rosacea and acne breakouts. In need of an anti-aging boost? Just mix a tablespoon of aloe with a teaspoon of organic coconut oil. Massage it on your hands until it warms up, then wash and rinse. Exfoliating may not be the most pleasant part of grooming, but performing it is essential if you want to achieve a fresh, glowing skin. aloe vera Singapore serves as a great base for your own homemade scrub as it helps in softening the skin and strengthening its tissues to reveal a more vibrant skin. For a homemade exfoliator, just mix 1/2 cup of aloe Vera with enough baking soda or brown sugar to get that gritty texture. After that, rub the mixture on your heels, arms, elbows, or whichever part needs softening. When bad breath strikes, simply drink 1/4 cup of aloe gel that’s dissolved in a half a cup of apple juice or water as suggested by your Singapore doctor. Aloe Vera is rich in an anti-inflammatory compound known as B-sitosterol, which soothes acid indigestion that primarily causes bad breath. Just resist the urge to jug down the mixture in large doses since aloe can work like a laxative. To improve your much needed beauty sleep, use an aloe vera hydrating mask before going to bed. To create your own mask, blend a three-inch cucumber with pure aloe juice and a half the egg white. Once you’re done, wear the mask to bed, and you’ll surely wake up with a refreshed and glowing skin. While strong-looking eyebrows are gorgeous, tidiness is still essential in maintaining them. Achieve this by simply dipping a well-cleaned mascara wand in aloe gel and run it over your stray brows to give them a serious staying power sans getting sticky or hard. If you happen to go overboard in using your tweezers, just mix one part of castor oil with one part of aloe gel to help your over-plucked eyebrows grow faster. Want to make your dry and cracked feet soft? Then incorporate aloe Vera Singapore into your homemade foot mask recipe. To do this, simply mix four tablespoons of aloe Vera gel with 1/2 cup corn meal, 1/2 cup oatmeal and 1/2 cup unscented body lotion. Once you’re done mixing, rub the mask all over your feet until it’s well-exfoliated. Let it sit for about 10 minutes, and then rinse it off using warm water. Sick of your sanitizer that dries your hands out? Then create your own moisturizing hand sanitizer by mixing 1/2 cup aloe Vera gel with 20 drops of your favourite essential oil and 1/4 cup of alcohol. The sanitizer’s alcohol content will fight the germs, as the aloe soothes your skin. To use, just spritz once and rub it between your hands. Aloe Vera is more commonly known for its cooling and soothing properties, but now, you know that it has more than these qualities to boot. So start incorporating aloe Vera into your beauty regimen now and see how the renowned miracle plant gives you an all-around beauty from your head down to your toes.